Before you register: GET THE SCOOP ON OUR FLYER HERE! How do I register for BEACH? How long does the sand season run? All programs begin April 23rd and run through June 27th. What do the program fees cover? Practice & Coaching & an LKN Beach Shirt – New this year, the fees also cover entry into the two LKN-hosted USAV beach tour events. All other tournament entry fees are separate, and uniforms / gear will be made available on the team store. Do I need a partner to register? If registering for the Select program, a partner is not required, but can be requested. What age groups are offered? Beach tournaments will typically be offered as U14, U16 and U18 based on the age you are as of September 1, 2019. For our trainings, we will divide across the courts by skill and age where appropriate to ensure a good training environment. All ages and skills are welcomed in the Select sessions. For the Elite, all are welcome to tryout, but typically the ages are U16 and U18. Yes, LKN provides balls at practice. Players will also have the option to purchase their own ball from the team store if desired. Does LKN provide sand gear / uniforms? LKN sand gear will be offered for purchase via our team store. Items will include swimwear, balls, beach towels, tank tops, visors, etc. 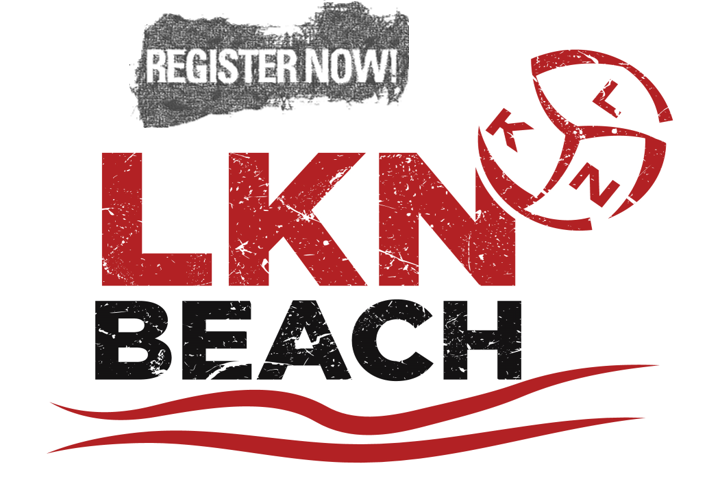 If you participate in the LKN Beach program, there is no cost to register for the tournament by using the exclusive code provided, but you will need to indicate your partner and both are required to have active USAV memberships. Do I need a USAV Membership?